The German running magazine «Aktiv Laufen!» has published a big test report about energy bars in issue 5/2018. The salty/sweet HIGH ENERGY BAR Salty & Nuts was given the title of «Competition Tip»! 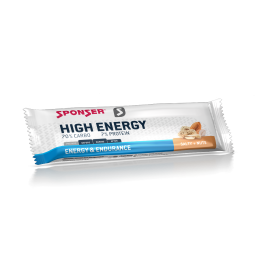 In the article, editor Christian Bruneß examined two types of energy bars: First, the classic energy bars, where energy stands for the highest possible calorific value. On the other hand, bars that also take other factors into account, such as the combination of short-, medium- and long-chain carbohydrates or additional ingredients such as caffeine or salt.